UI Design. Web design and Web site template graphics and layouts. Application Interactive Tour Art Direction and Design. Increased unique monthly visitors and sales significantly. 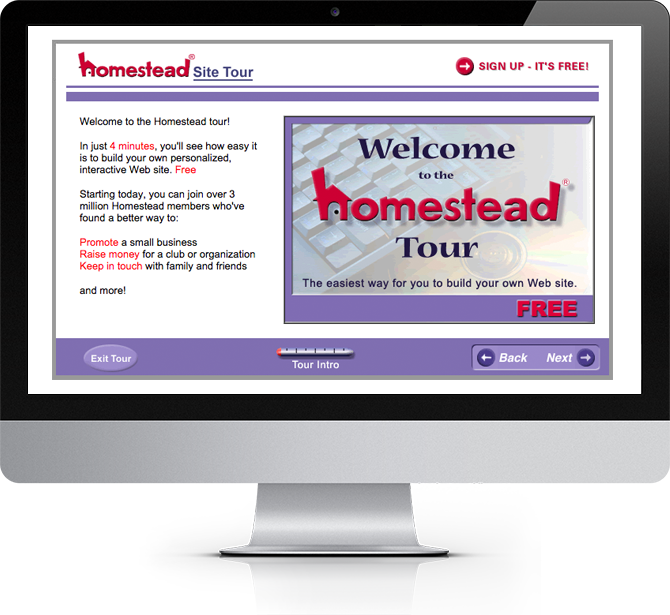 Built first round of user templates and graphics and successful interactive tour. 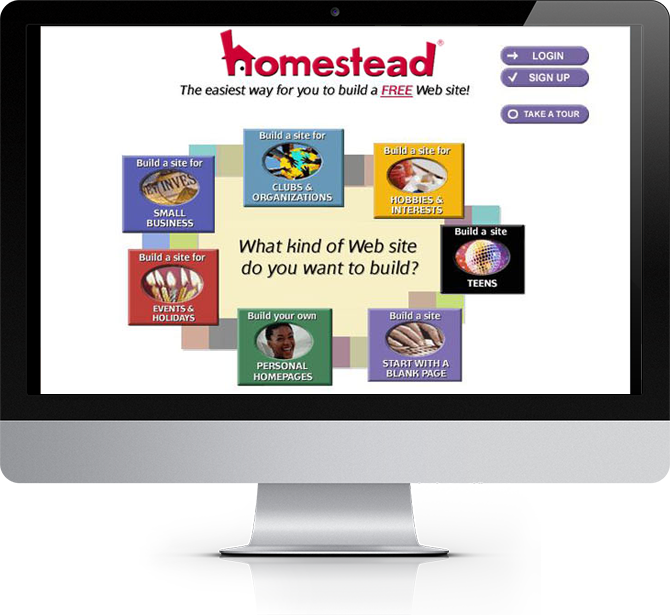 Long before Squarespace, Weebly and WordPress, the only online web site builder in town was Homestead.com. As the Art Director and Lead Interaction Designer at MPM, we created an interactive HTML tour that explained the benefits of Homestead.com membership and encouraged users to sign up and build their own sites. I also designed the Homestead.com homepage and other hundreds of user templates to be used in the Homestead.com Site Builder online application in 2000. This was a big enterprise web application job where I art directed a team of artists to produce the hundreds of graphics, templates and site tours over the course of several years.